Veronica Morano of Sarasota, Florida, presents singer Todd Rundgren with her gift. Longtime Todd Rundgren fan Veronica Morano of Sarasota, Florida attended “The Moral Imperative of Music Education Symposium” last weekend in Little Rock Arkansas, an event hosted by Rundgren’s The Spirit of Harmony Foundation and The Clinton School of Public Service. 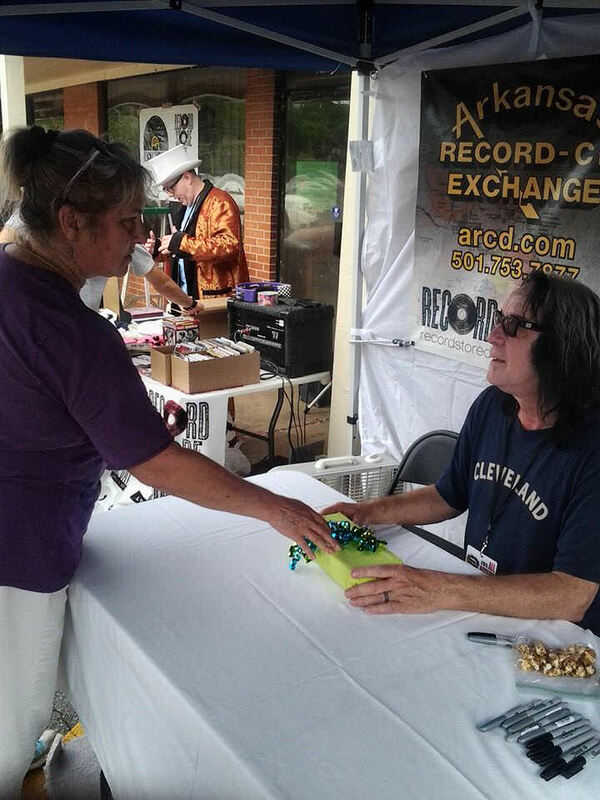 Part of the weekend’s events included an appearance by Rundgren at the Arkansas Record-CD Exchange in North Little Rock in celebration of National Record Store Day. 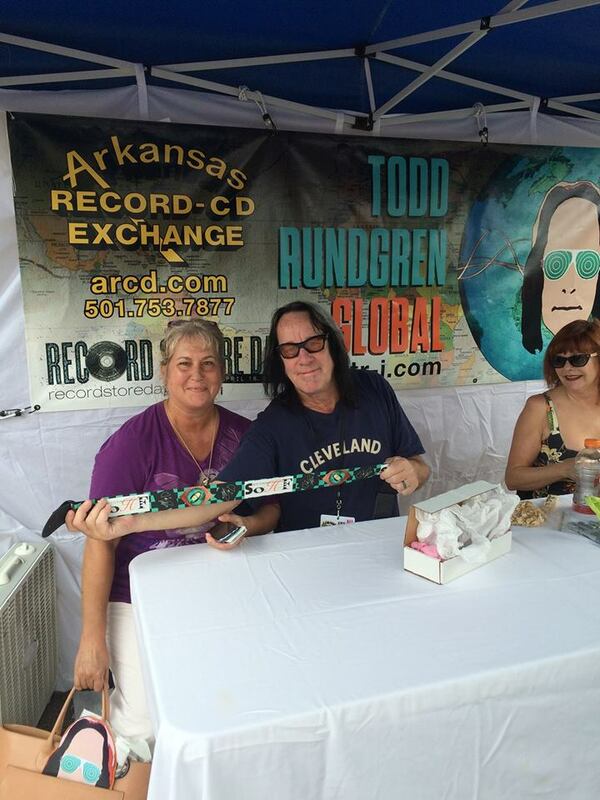 Morano’s gift to Rundgren: a custom guitar strap. 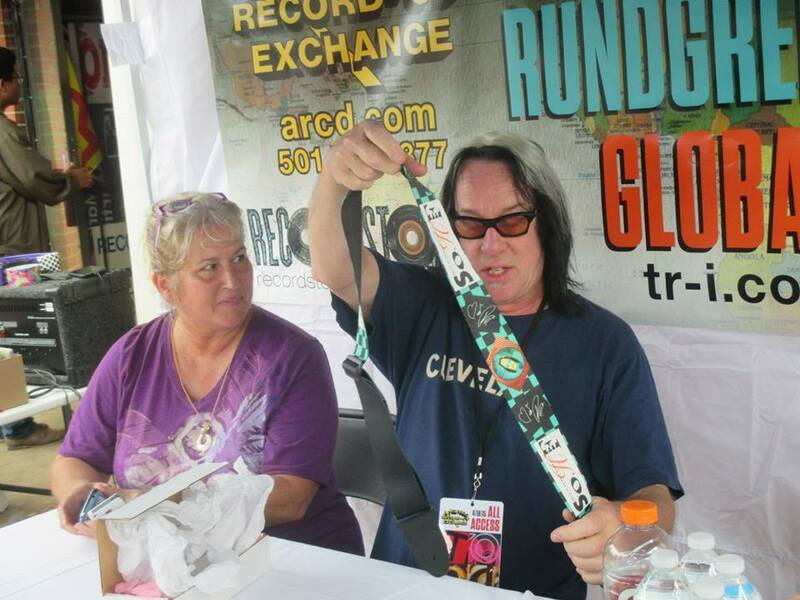 Singer/songwriter/producer Todd Rundgren poses with fan Veronica Morano upon receiving her gift of a special guitar strap. When Morano discovered her friends were attending a CD signing for the new album, she decided she would take her gift along rather than ask for an autograph. Sara Stromseth-Troy is a freelance newspaper feature writer and public library worker, where she specializes in social media and publicity. Fortunate to grow up surrounded by an extended family of music educators, she feels honored to volunteer in blog writing and social media for The Spirit of Harmony Foundation. She lives in Cresco, Iowa. It is truly amazing. I’m so proud.